Nuclear energy is important both as a very large energy resource and as a source of carbon free energy. However incidents such as the Fukashima Daiichi nuclear disaster (2011), the Chernobyl disaster (1986), and the Three Mile Island accident (1979) have cast doubts on the future of nuclear fission as a major player in the future energy mix. This volume provides an excellent overview of the current situation regarding nuclear fission as well as a description of the enormous potential advantages offered by nuclear fusion including an essentially unlimited fuel supply with minimal environmental impact. Energy from the Nucleus focuses on the two main approaches to producing energy from the nucleus: fission and fusion. The chapters on nuclear fission cover the status of current and future generations of reactors as well as new safety requirements and the environmental impact of electricity production from nuclear fission. The chapters on nuclear fusion discuss both inertial confinement fusion and magnetic confinement fusion, including the new international fusion test facility, ITER. The expertise of the authors, who are active participants in the respective technologies, ensures that the information provided is both reliable and current. Their views will no doubt enlighten our understanding of the future of energy from the nucleus. Nuclear energy is important as part of national energy policies, and as a source of carbon free energy; however, incidents such as the Fukushima Daiichi nuclear disaster (2011), the Chernobyl disaster (1986), the Three Mile Island accident (1979), and the SL-1 accident (1961) have cast doubts on nuclear energy remaining a part of national energy roadmaps. 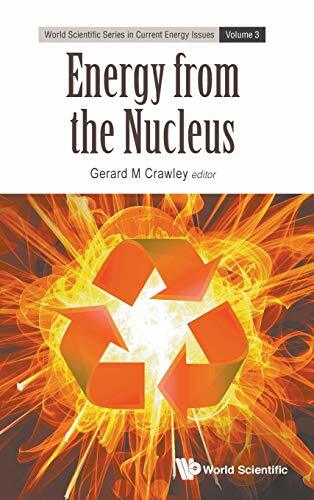 This volume gives an excellent overview of the current situation, as well as the enormous advantages of an essentially unlimited fuel with minimal environmental impact offered by nuclear fusion. Energy from the Nucleus focuses on the two main approaches in producing energy from the nucleus: fission and fusion. The former is covered by an overview of the statuses of current and future generations of nuclear fission reactors, including new safety requirements and the environmental impact; while the latter explores, namely, inertial confinement fusion and magnetic confinement fusion including the new international fusion test facility, ITER. The expertise of the authors invited for the various chapters, who are themselves active participants in the technologies, ensures that the accounts and information given are reliable and current. Not to mention, their foresight on the future direction of energy will no doubt enlighten our understanding of Energy from the nucleus.